Joaquim Carvalho wondered whether Harender Singh has enough time on his hands to fine tune the squad for tougher battles ahead. Welcoming the appointment of Harender Singh as the coach of the Indian men’s national hockey team, former coach Joaquim Carvalho wondered whether he has enough time on his hands to fine tune the squad for tougher battles ahead. Yesterday, women’s coach Harender Singh was made in-charge of the men’s side, while men’s coach Sjoerd Marijne was re-designated the women’s coach in a rejigging of roles by the Hockey India following the medalless show of the teams at last month’s Gold Coast Commonwealth Games. “Harender’s appointment as a coach is a good move because he is in tune with all the latest happenings of Indian hockey and knows all the Indians players. The only drawback is whether he will have enough time to prepare the team for the Asian Games and other tournaments,” Carvalho told PTI on Wednesday. India are set to take part in two major events till the year-end – the Asian Games in Jakarta in August followed by the World Cup in Bhubaneshwar in November-December. Giving the example of Germany, Olympian Carvalho stressed that making the coach of the junior team the senior team’s in-charge helps as the core group of the junior squad normally makes it to the senior national side. 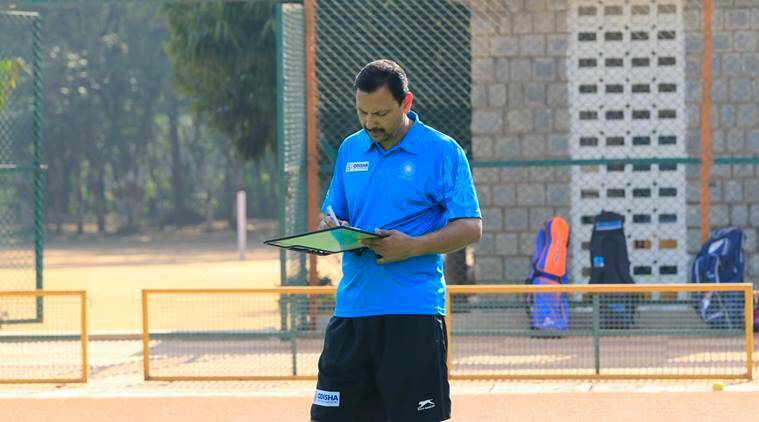 “Harender Singh has won the Junior World Cup (as a coach) and has been on the hockey scene for quite some time. He should have been immediately made the coach of the men’s team after the Junior World Cup (held in Lucknow in 2016). “Because after all, the core group of junior boys move up to the senior ranks. If you see world over, for example Germany, they have always promoted junior team’s coach as men’s team coach. “That would have been a step in the right direction had they done it earlier. That would have given Harender ample time to build on and make it into a formidable unit,” he said. Carvalho was blunt in his opinion about Marijne and said the Dutchman should have been sacked wholesale instead of being made the women’s coach. “Marijne was appointed as the coach of men’s team and now you say go back to the women’s team. Why should not he be sacked? Is he going to be motivated enough to deliver, no. First he was promoted from the men’s team and now (when) he is not okay with the men’s team, he is being sent back to the women’s team. “He has failed with the men’s team and his record as women’s coach is nothing to rave about. Just because he is a foreigner (he continues). They should have sacked him,” Carvalho fumed. The Arjuna award winner also raised question of action not being taken against the selectors. “What about the selectors? Why is there no action against the selectors? Nobody knows who the selectors are. There is not a word about the selectors. “They are the ones who selected players and Marijne as a coach, so why is action not taken against them? Get fresh faces (as selectors),” he concluded.